After a long delay that left WebOS in limbo, HP has finally decided what to do with the operating system. According to CEO Meg Whitman, HP will make the operating system open source, effectively giving it a life line and hoping that, with some help from outside developers, it can finally achieve the lofty goals Palm set out for it years ago. But whether or not HP’s decision to make WebOS an open source option for developers is a good one is up for debate. On one hand, it allows the operating system to stay in place, and it keeps people employed, which is fantastic. 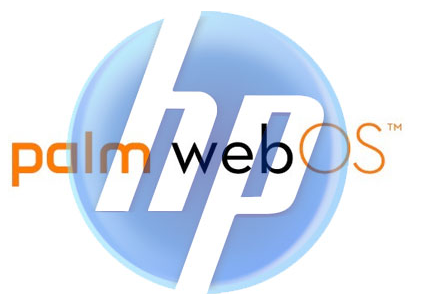 But on the other hand, HP had several other options available to it to make the best move possible with WebOS. And by the look of things, the company didn’t necessarily follow the right path with its decision. Here’s a look at why HP’s WebOS strategy won’t work, and why making the operating system open source could finally be the last nail in the platform’s coffin. Why would HP want to go up against Google’s Android platform? That operating system is open source and available to any handset maker. To add another company to the mix against the dominant force in the industry makes, well, absolutely no sense. Perhaps the most viable recent open-source challenger to Android, MeeGo, managed to find its way onto one phone (the Nokia N9) and one netbook (the ASUS X101) from major manufacturers before being folded up, dusted out and held out to dry. A key component in HP’s open-source strategy is making sure WebOS runs on devices made by other companies. The only trouble is, many of those other firms, including Dell, Acer, Asus, and others, are HP competitors in the PC market. It’s doubtful those firms will want to help HP. At the same time, Microsoft has been trying dismantle other operating systems in mobile. On the Android front, it’s bringing patent-infringement claims against vendors. Now that WebOS is open source, HP could get caught up in the costly patent-infringement lawsuits impacting the mobile market right now. And that simply isn’t worth it. The issue for HP is that even if the operating system lives on and other device makers offer it in their products, consumers still view the platform as a loser. So, when future devices hit store shelves, the chances of them succeeding seem awfully slim. Admittedly, HP’s initial decision to sell its own products running an operating system that only it controlled was a good one. Apple has proven that controlling all aspects of a mobile device — software and hardware — is best for those who want a worthwhile user experience. And yet, HP has turned its back on that. HP CEO Meg Whitman says that there is still a possibility that her company will launch new tablets in the coming years. Huh? Didn’t HP just get out of the mobile hardware business altogether? (That did sound Like McDonalds wanting to shunt out the Burger business!) The company doesn’t seem to have its entire strategy in place just yet. So, to make the decision now to turn WebOS open source might not have been the best idea. Shareholders like certainty. They also like to know that management understands the nature of the markets the company operates in and can make solid decisions based off that. But by making WebOS open source and basically swallowing the $1.2 billion HP bought Palm for, shareholders have seen hardly any return on that investment. And they’re not happy about it. For the record, HP has knocked of 50% of its m-cap owing to Lee Apothekar’s monkey act with WebOS. Before HP made the decision to make WebOS open source, the company said that it would consider bringing the operating system to PCs and servers. The move seemed like a good one, since it could potentially move HP away from reliance on Windows at some point in the future. That plan has been tossed out, and the company no longer has an operating system it can use to differentiate its products. When it’s all said and done, HP must ask itself if another mobile operating system is really needed. Android and iOS own four-fifths of the market, and there is a good chance that could only grow next year. WebOS, meanwhile, is left to pick up the scraps. Is that really what HP wants? Furthermore, does HP really think making WebOS open source can change that? WebOS is little more than an also-ran. And it’s about time HP realizes that. HP itself says that it may not enter the webOS device market again until 2013 and we’ve seen no public statements from other major device makers champing at the bit to build devices based on the software, at least not in its current state. 12. HP- an ecosystem manager? Nah! One of the challenges that HP faced with webOS was that it had never been at the center of an ecosystem trying to build a developer base for a consumer operating system. Likewise, though, it has never been at the center of a major open source project, which involves managing not only internal development constituencies but external ones as well. Perhaps the biggest question, though, lies not in whether HP and the open source community can execute on making webOS a stronger competitor, but whether anything can carve out turf between the iOS monolith and the Android skyline. So far, such ground has not proven fertile in the mobile OS turnaround attempts of Microsoft and RIM. However, as mobile devices, particularly tablets, take on more PC-like tasks, there is the highly successful example of Windows on the PC to pursue, the very offering that HP — and many other companies — won’t hesitate to embrace in future tablet generations before revisiting webOS..
Palm pioneeered the PDA and the smartphone scene way before RIMs and Apples of the world were in the scene. However, over the years Palm lost its way and is almost out of contention. Almost! The recently announced web OS and Pre have been appreciated and its time, we shall see whether Palm has any fight left in it or not! For a start, Palm Pre makes a point. It has the works and it works pretty smartly!. It starts with a 3.1 inch 320*480 res screen with a built in accelerometer and a QWERTY keyboard. Inside is a 8GB storage and a 3 MP camera with a LED flash. It has a neat multitouch screen and it supports WiFi. However, it is the UI based on the new WebOS that Palm introduces with the Pre which seems to be the “meat” of things. WebOS is based on the webkit which uses the Synergy data integration combining data from outlook, Google and Facebook to provide a universal address book and calendar. It also auto updates these sites for changes made in the device address book. The new App store that Palm is making would provide other applications. From the first look Webkit outclasses competition in terms of smoothness, speed, application, switching and menu views. Palm from the very introduction of the WebOS and the device seem to have the Apple iPhone i its sights! We will wait to see how this one shapes up when it is shipped somewhere around the first half of this year.